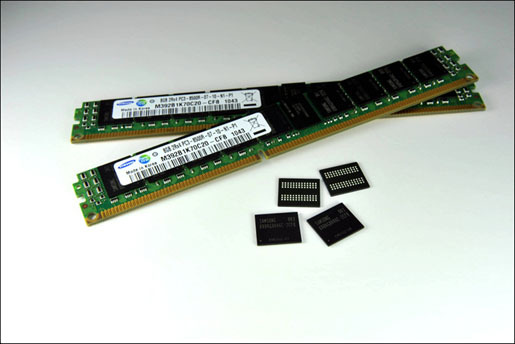 Samsung Electronics today announced a new 8GB registered dual inline memory module (RDIMM) based on their Green DDR3 DRAM. This new memory module is made by using of a ” through silicon via’ (TSV)” three-dimensional (3D) chip stacking technology. 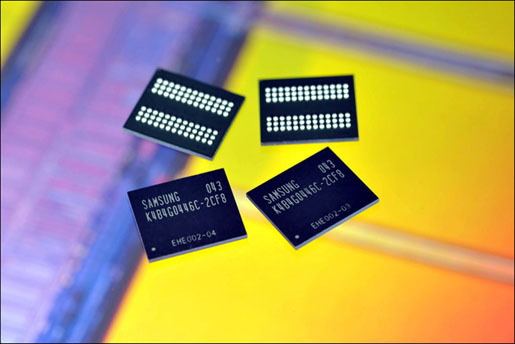 Samsung also claims that the new modules saves up to 40 percent of the power consumed by a conventional RDIMM. 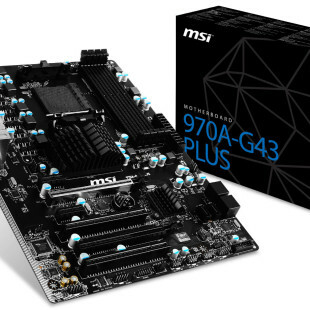 The TSV technology also will allow a dramatic improvement in memory chip density and a 30 percent decrease in memory slots in next-generation servers, as well will be able to raise the DRAM density by more than 50 percent. The adoption of the 3D TSV technology is expected to take place from 2012.